Apple today announced the “The New iPad” with a 9.7-inch screen size, not much different from the shape and size of the previous version, iPad 2, which comes with white and black color options for both versions of Wi-Fi or 4G LTE. However, various improvements made? ?, especially in sectors that provide a screen resolution of 2048 x 1536, which will surely bring a new generation in the world of photography (8/3). The latest generation of Apple Tablet that uses name “The New iPad” brings the sharpness on the screen with a resolution of 2048 x 1536 or the equivalent of 3.1 million pixels, it can be said 1 million pixels is greater than the number of pixels contained on a 1080p HDTV. 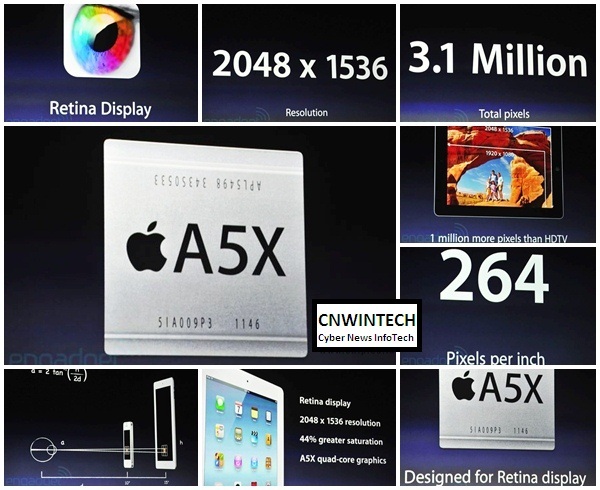 “The New iPad” comes with graphics processors A5X with quad-core which is designed specifically for the ability to display stunning Retina Display. Retina of the human eye will not be able to distinguish the density of pixels with a visibility of 15 inches on the device, similar to visibility as far as 10 inches on the iPhone 4/4S. These tablets will also show greater color saturation 44 percent. 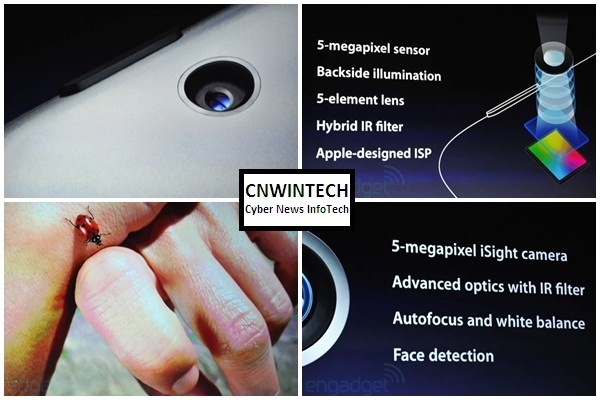 On the back side of the camera from “The New iPad” will use a 5-megapixel sensor, with support of technology and features such as Backside illumination, a 5-element lens, IR filter Hybrid, Apple-designed ISP, iSight camera, autofocus and white balance and face detection. Video sector will also be presenting a series of technologies that can record 1080p HD quality, with support for video stabilization, noise reduction video temporary, and of course the video ability with retina display. 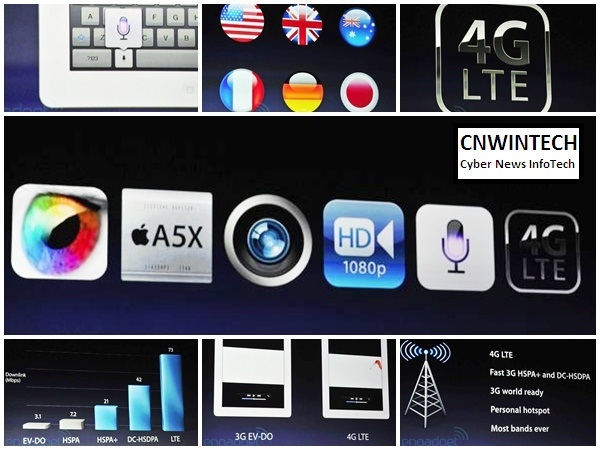 “The New iPad” does not present same features like iPhone 4S, but using a new button with name voice dictation which will support English (English, British, Australia) as well as France, Germany and Japan. Tablet “The New iPad” also comes with the LTE 4G version ability to provide the ability to download up to 73 Mbps, of course, can also be used as personal hotspot device. Improvement of power endurance was also present in tablet similar to iPad 2 that can be used for 10 hours straight, or 9 hours of 3G version, but “The New iPad” informed able to remain for 10 hours in a 4G version. This course will provide a longer endurance capability for users when performing internet activity. 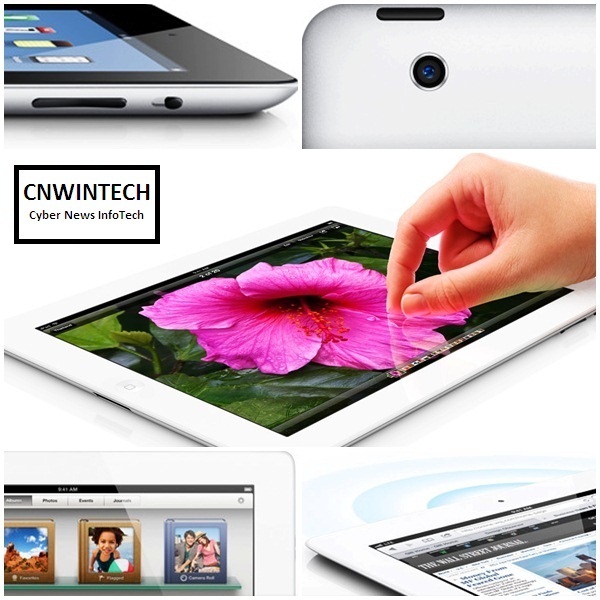 In the sector size, the addition of the thickness compared iPad 2, where the latest Apple tablet has a thickness of 9.4 mm with more heavy about 635 grams weight. 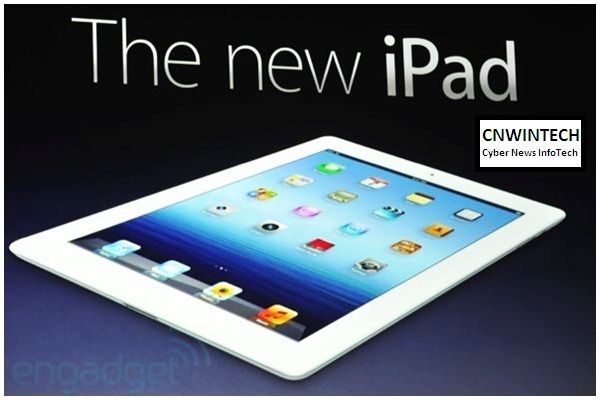 iPad 2 itself has thickness 8.8 mm and weighs approximately 601 grams. There are three types of capacity on the storage media, similar to previous versions is 16 GB, 32 GB and 64 GB with each priced at $ 499, $ 599 and $ 699 for the WiFi version, while the version of the 4G a price of $ 629, $ 729, and $ 829. 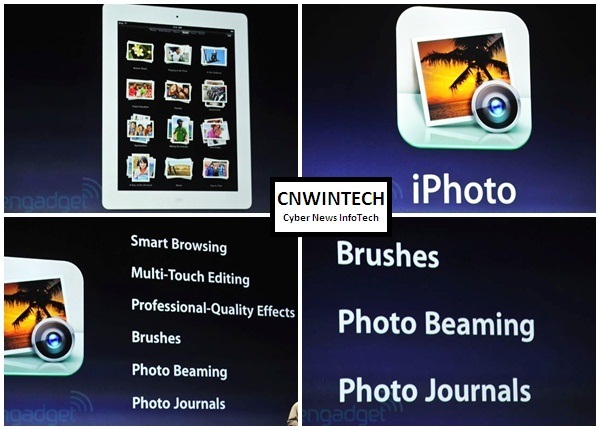 Photographers will get in touch with the iPhoto application that will provide a variety of digital photo though, including one of them with the ability to “The New iPad” that can process 19-megapixel photos. Even the application of Autodesk SketchBook Ink otherwise be able to display a picture when performed zoom while maintaining a sharp quality, and ability to export images larger than 100 megapixels. 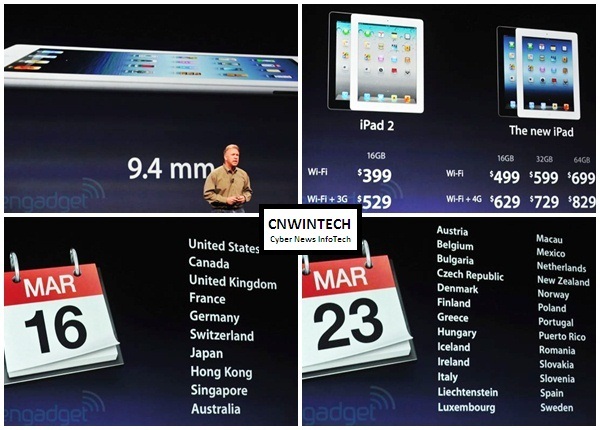 For you who looking forward for “The New iPad” tablet will be coming soon on 16 March in 10 major countries, and the next 23 countries on March 23, seems to be more patient, because the country including my country seems on the second list date. Does IOS 5.1 Update Ability to Increasing Battery Life?